XOLO Win Q900S Announced - World's Lightest Smartphone! Just recently, Micromax, the largest Indian phone maker announced their first two Windows Phone devices, the Canvas Win W121 and Canvas Win W092. Aimed squarely at the budget market, these two devices are pretty much tailor made for a budget conscious market like India. In fact, the Canvas Win W092 is the cheapest Windows Phone you can get! 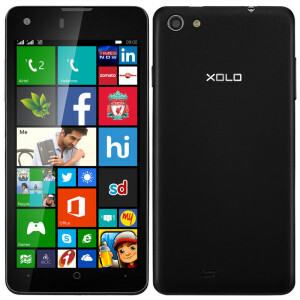 As previously mentioned, XOLO’s new Windows Phone device has now been revealed, making it the second of three Indian manufacturers which will manufacture Windows Phones. While the Micromax Canvas W092 has the honor of being the most affordable Windows Phone out there, the XOLO Win Q900S is the lightest Windows Phone, and the lightest smartphone in the world! Weighing in at just a 100g, this lightweight device still manages to pack in a decent punch. Here’s more about it!